Polson, Edward C. (2014). Social diversity and civic engagement: The effects of social and ethnic heterogeneity on the community involvement of American congregations. Nonprofit and Voluntary Sector Quarterly. Advance online publication. doi: 10.1177/0899764014548424. Jang, Sung Joon, Byron R. Johnson, Young-Il Kim, Edward C. Polson, and Buster G. Smith. (2014). Structured voluntary youth activities and positive outcomes in adulthood: An exploratory study of involvement in scouting and subjective well-being. Sociological Focus, 47(4), 238-267. Polson, Edward C., Young-Il Kim, Sung Joon Jang, Byron R. Johnson, and Buster Smith. (2013). Being prepared and staying connected: Scouting's influence on social capital and community involvement. Social Science Quarterly, 94(3), 758-776. Polson, Edward C. (2008). The Inter-organizational ties that bind: Exploring the contributions of agency - congregation relationships. Sociology of Religion, 69(1), 45-65. 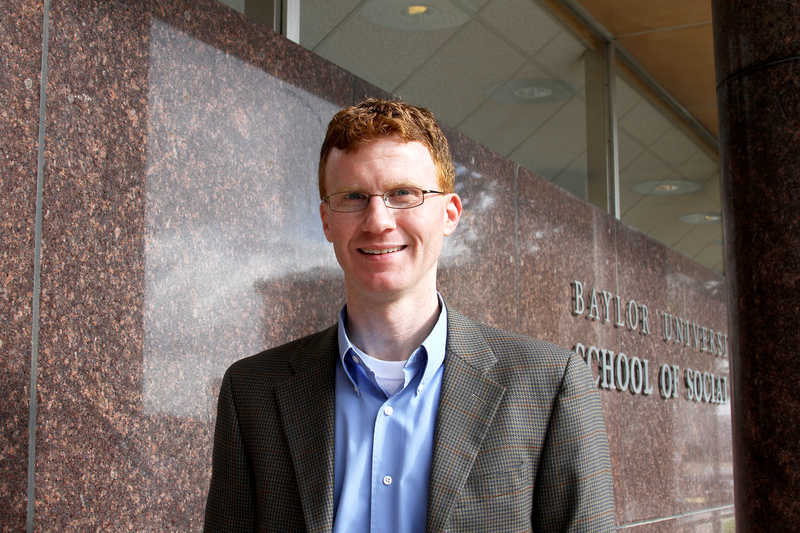 Edward Polson joined the Baylor Social Work faculty in 2014. Before coming to Baylor, he served as Assistant Professor of Sociology at Messiah College in Grantham, PA and at Louisiana State University in Shreveport, LA. Dr. Polson’s research interests include community engagement; civil society; the intersection of religion and civic life; and the work of non-profit organizations and voluntary associations. Dr. Polson has also been involved in applied research projects with community organizations in Texas, Tennessee, and Pennsylvania. Dr. Polson is married to Lauren, a clinical social worker at Family Health Center in Waco. They are the proud parents of two children, Lucy (2010) and Joshua (2013).